How to water garden in common containers. Grow water garden plants. Watch how-to videos about pond plants! Artichoke plants can be grown in nearly any climate. They are not just for coastal locations. In cold snowy climates, it just takes a little planning ahead of time. Artichoke Myth 1: It is a myth that artichokes only grow globes during the second season. Planted early and given good care, artichoke plants will produce the very first season! You will receive about 6-10 artichokes the first year, but the most tasty and tender artichokes grow after the second season. Artichoke Myth 2: It is a myth that artichokes can only grow in coastal locations. They can be grown anywhere! In Italy, the roots are dug up each year and then planted again in the spring. Artichoke Myth 3: There is only one type of artichoke plant. NOT TRUE! 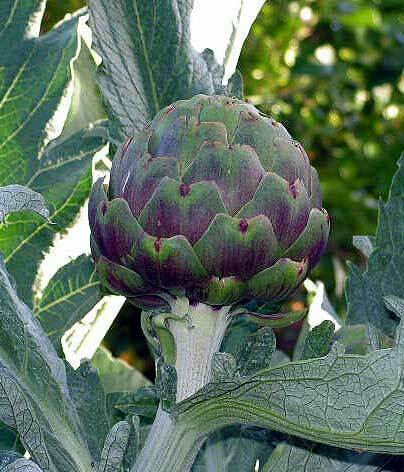 There are many types of artichoke plants just like there are many varieties of apples and oranges. Cold Climates: Artichokes can even be grown in Denver, Colorado! I have a friend who lays down a heavy layer of mulch about 2 feet deep after the plant goes dormant. Cover with black plastic and secure down for the long cold days. Adding raw manure on top will create active bacteria that will help keep the ground nice and snug, and warm. Mild Climates: In mild climates, little care is needed in summer and winter. Hot Climates: In hot and dry climates, a shade cloth may be needed over the plants to protect them from the scorching sun. I am in zone 9; which can reach 120 degrees in the sun during the summer, and my mature 2nd season artichokes do not need shade. Red Romanesco: Grows red globes the first year and then reddish green globes the following years. Large round globes with a mild flavor that are not bitter like the common green globe. This one is actually my favorite. Purple Violetto: Purple narrow globes the first year and then green/purple globes the following years. This is a sweeter globe with a sugary kick. Green Globe: This is the common green globe found in the store. Nice round globes that produces well after the 2nd season. Imperial Star: The Imperial Star is known as being cold and hot climate hardy. It is also known for producing 1st season and for being a big producers. The plant is very thorny, but the globes have less thorns. Medium size globes that are narrow shaped instead of round. Mother Globe: This is a variety from my personal garden. (I believe it is a romanesco.) The mother plant is VERY hardy and a great producer. I am now growing babies for my garden friends. These should also be ready in November 2011. Emerald Globe: This is a variety of the green globe and is very similar. Canada Star: Similar to the violetto and is grown in Canada. Also known as the Violet Star. Difficult to grow in hot climates. 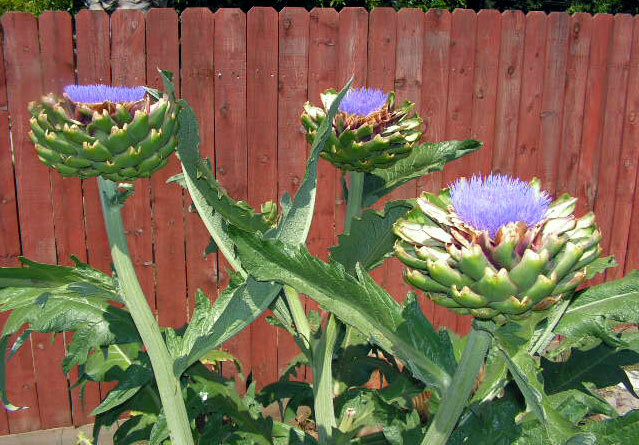 Learn more about growing artichoke plants! And buy mature 1st and 2nd season artichoke plants. http://www.sweetheartartichokes.com/. As I grew up, one of my strongest allies has been my sister. See the link below for more info. The Pond Plant Girl and Sweetheart Artichoke Co. are now PPG Nurseries. 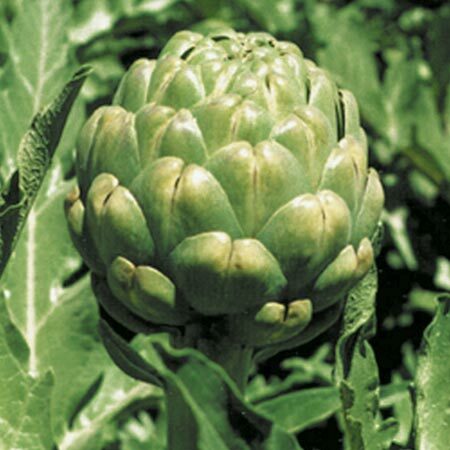 We grow and sell pond plants and gourmet Italian artichoke plants. On this blog you will find fun garden projects and easy growing tips. Learn about growing artichokes and pond plants in-ground and about container growing too. On my websites, you will find helpful gardening tips for people on a tight budget.